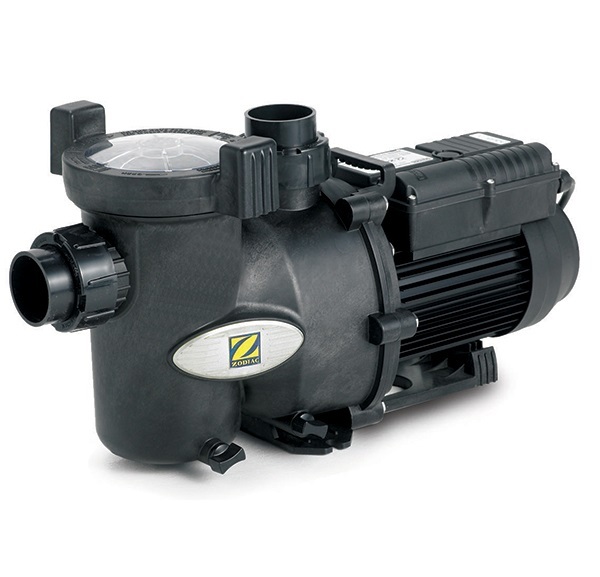 The Zodiac FloPro Single Speed Series is a quiet, high-performance single speed pool pump that uses a durable motor ensuring consistent performance and reliability. Backed by a 3-year warranty (2 years on the mechanical seal) you can be assured of many years of hassle-free enjoyment. Equipped with an ergonomic cam-lock lid with easy alignment indicators to ensure maintenance and everyday use is a breeze. Suitable for all domestic pools up to 120,000 Litres. Models Available: 0.75HP, 1.0HP, 1.5HP 2.0HP.